We're regular visitors to The Lowry in Salford and always enjoy their wide and varied programme of shows. This Easter is no different with two fantastic fun family shows on the way for the school holidays and I'm going to be running two giveaways for family tickets. 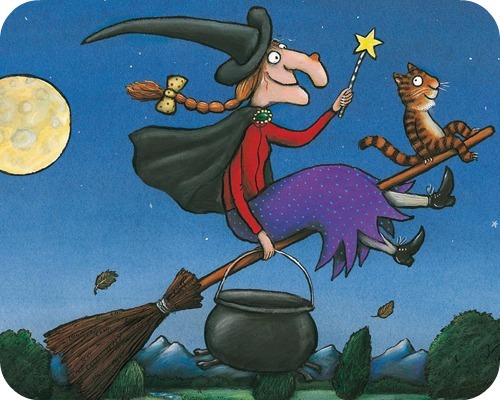 Room on the Broom is on at the Lowry from Tuersday 7th April until Sunday 12th April. Click here to find out more information and to book tickets. It's aimed at children from age three upwards, and their grown ups of course. I've teamed up with The Lowry to give away a family ticket to Room on the Broom on Saturday 11th April 2015 at 11am, to enter please complete the Gleam widget below. The blog post comment is compulsory and will unlock a range of additional entry options. Please read the terms and conditions and ensure that you will be able to attend the performance if you are chosen as the winner. Check out my other giveaway to win a family ticket to see Cirque Surreal at the Lowry this Easter.